If you were diagnosed with mesothelioma, it’s likely that you were exposed to asbestos at some time in your life—likely at work or through secondary exposure. Mesothelioma is almost always caused by asbestos exposure and is a deadly form of aggressive cancer for which there is no cure. Between 1999 and 2013, there have been nearly 200 mesothelioma deaths in the New Mexico. Asbestos is a natural mineral that was widely mined and used in over thousands of consumer products until the early 1980s. It was around this time that asbestos was discovered to cause cancer. Because so many industries and manufacturing companies made asbestos-containing goods, and the buildings used to create the products were made of materials with asbestos, workers in New Mexico were not only exposed to this deadly substance, they brought the asbestos home on their clothes, shoes, and coats, exposing their family members, as well. Known as pericardial mesothelioma, this is a rarer form of this particular cancer type with only about 200 cases diagnosed. This cancer occurs when asbestos fibers get lodged in the lining that surrounds the heart cavity. Patients often suffer from coughing, chest pain, an irregular heartbeat, and difficulty breathing. Pleural mesothelioma is the most common of this cancer type. It most often occurs when a person inhales asbestos fibers, and they get caught in the tissue layer surrounding the lungs. Patients with pleural mesothelioma often suffer from breathlessness, fever, fatigue, and chest pains. Because there has been a great deal of research done on this type of cancer, most patients with pleural mesothelioma qualify for chemotherapy, immunotherapy, and radiation therapy—treatments that increase life expectancy. Known as peritoneal mesothelioma, this type of cancer develops after someone inhales or swallows asbestos fibers, and those fibers get trapped in the lining of the abdomen—the peritoneum. Symptoms of this type of cancer include abdominal pain, bloating, bowel changes, and a distended bowel. Patients with this type of cancer have a better prognosis than those with pleural mesothelioma. Across New Mexico, there are locations, industries, and companies known for exposing workers and residents to asbestos. There are areas of naturally forming asbestos, 16 mining districts with reported asbestos in those mines, and there are companies in Albuquerque known for using asbestos-containing products. According to the Agency for Toxic Substances and Disease Registry, there are multiple natural deposits of asbestos, with the heaviest concentration in the southwestern area of New Mexico and a few others located in the state’s mid-section. Additionally, erionite, a mineral that is comparable to asbestos, can also be found in New Mexico, along with chrysotile deposits. Anyone who comes in contact with these natural deposits may be at an increased risk of developing mesothelioma. Manufacturing plants, energy companies, and a variety of industries make Albuquerque home, and all of them are known for using products that contain asbestos. Over 57,000 tons of raw asbestos has been shipped to Albuquerque from Libby, Montana and used for its fire-resistant and insulating properties in products such as gaskets, brakes, boilers, cement, paint, and piping. Kirtland Air Force Base, the largest employer in Albuquerque, used asbestos to construct its buildings. As with many military bases, asbestos could be found in roofing materials, ceiling and flooring tiles, and in many parts of the barracks. Despite clean-up efforts, military personnel who worked at the base or were stationed there were at a high risk of asbestos exposure. Due to the latency period of up to 50 years for asbestos-related diseases to present, New Mexico has seen an increase in the number of lawsuits related to asbestos exposure. 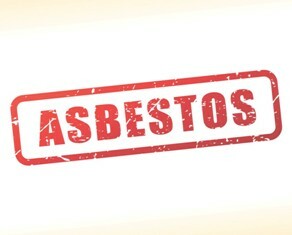 Workers and residents have held their employers and the manufacturers of asbestos-containing products liable for their mesothelioma. In a 2011 case, a resident of New Mexico sued 48 companies, claiming they were responsible for the death of her husband due to lung cancer. In 2003, one of the state’s largest electrical and power provides, PNM Resources, was cited as a defendant in over 15 lawsuits. As more and more people have sought legal action, asbestos cases are tried differently, and patients with mesothelioma can pursue multiple defendants. If you live in New Mexico and have been diagnosed with mesothelioma, or a loved one died of this disease, you may be able to pursue compensation through a lawsuit. Because you have just three years to file your suit after being diagnosed with mesothelioma and three years from the date of death to file a wrongful death claim, it’s important to contact a lawyer skilled and experienced in handling mesothelioma lawsuits. Compensation can cover the expensive costs of loss of work, medications, travel expenses, and potential surgery. Contact us online or call our office directly at 318.541.8188.